Who doesn't love yard signs? Not only are they fun to look at while driving, they're a great way to get your message across. From wishing your husband a "Happy 40th Birthday!" to promoting a political campaign, Media Factory can print your full color message in any shape, size, or quantity. 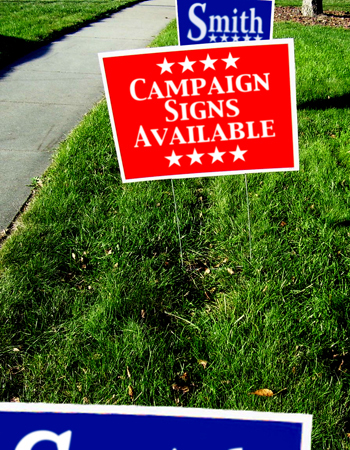 Order your yard sign today to announce to the world whatever it is you want to say.